Currys, John Lewis or Richer Sounds: which retailer is selling the highest-scoring TVs for Black Friday? Don’t panic, but there are only two days to go until Black Friday. Near enough every store is running its own sale and if you’re still in flap about which one to focus on, we can help. TVs are one of the most popular purchases on Black Friday, with discounts on models from LG, Panasonic, Samsung and Sony. If a TV is on your wishlist then you’re not short of choices about where to do your shopping. All the leading retailers are running ad campaigns, sending deals emails, delivering offers by carrier pigeon and generally bombarding you with discounts in every way possible. It’s easy to be overwhelmed. 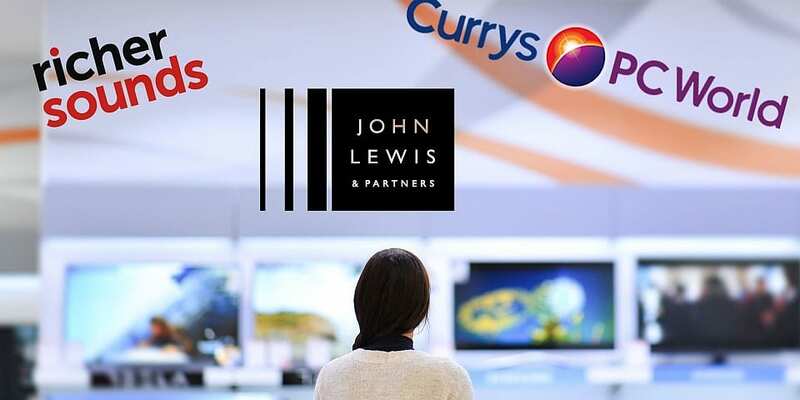 To aid you in your hunt for your a nice new telly on Friday, we’ve checked the scores of the TVs on sale from Currys, Richer Sounds and John Lewis to see which retailer is selling the best-scoring sets. Who has the best TVs on sale? There’s a tie for the top spot: with average scores of 66%, the TVs on sale at Currys and Richer Sounds are the highest rated on average. Despite being tied for high-scoring TVs, other factors make one the clear winner. Currys has 21 more TVs on sale than Richer Sounds and we’ve reviewed nine more. You could assume that because we’ve tested more of the TVs in Currys’ sale that its average score is more impressive. But you also need to bear in mind the TVs we haven’t tested. There are 35 TVs in the Currys sale that we don’t have full reviews of and only 23 in Richer Sounds’. For the most part, the models we haven’t tested are made up of budget brands. For Currys this includes its own JVC TVs and both stores feature many Toshiba sets, which are cheaper than similar TVs from the big four manufacturers. Though it isn’t always the case, these cheaper brands have models that have performed abysmally in our tests. The 154-year-old retailer came very close to Currys and Richer Sounds. On average the TVs in its sale scored 65%. Of the 61 TVs in its sale we’ve tested 35, which is 11 fewer than Richer Sounds and 20 fewer than Currys. If we look purely at the averages then Richer Sounds is the best place to shop for your TV on Black Friday. Despite the fact that the TVs it has on sale score, on average, the same as Currys’, we’ve reviewed more of them. We’ve tested 67% of the TVs on sale at Richer Sounds, but only 61% of the TVs on sale at Currys, so you’re more likely to buy a better set from Richer Sounds. To find out which ones are worth buying take a look at all our TV reviews. What about the TVs we haven’t tested? More than 150 TVs have been through our test lab so far in 2018, and that accounts for almost all of the TVs on offer from LG, Panasonic, Samsung and Sony. There are always a handful of sets that don’t make it through our lab because they are too big or they release later in the year. That’s the case with the Samsung 7020 range, which was released just in time for Black Friday and now feature prominently on all the websites’ deals pages. We don’t test these TVs, but using our expertise earned from years of testing means we can offer advice on whether they are worth buying. We know that different sized TVs from the same range tend to have the same strengths and weaknesses. And because we’ve tested such a large swathe of the TVs on offer, we can give expert advice on whether other models are worth a look, or recommend an alternative. We call these non-tested product reviews. You can find one of these or a fully tested review for every single 4K TV released by LG, Panasonic, Samsung and Sony that’s 65 inches or smaller, and even a few that aren’t. When collating the scores for all the websites, we also looked at the prices and discounts. We always recommend you take the amount a retailer knocks off its prices with a pinch of salt, especially given our investigation that found that many products that are on offer on Black Friday are as cheap, or cheaper, at other times of the year, but it’s still interesting to get an indication of which retailers’ TVs are cheapest on average. Richer Sounds – £1,139 with an average discount of £199. It seems you need at least one eye-wateringly pricey TV in every sale and Richer Sounds has one that costs £8,999. Remove it and the average drops to £1,023. 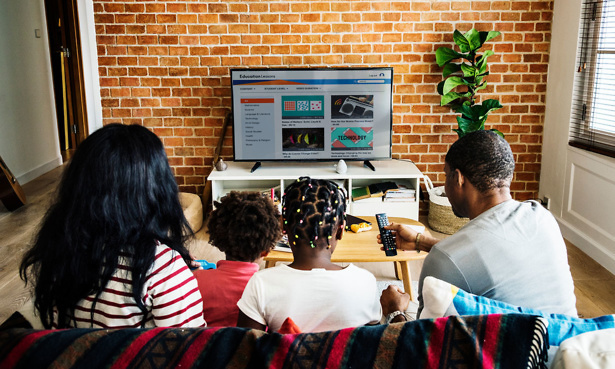 Prices averaging over £1,000 may be more than you expected, but there’s still an abundance of low-cost TVs available from each retailer this Black Friday.